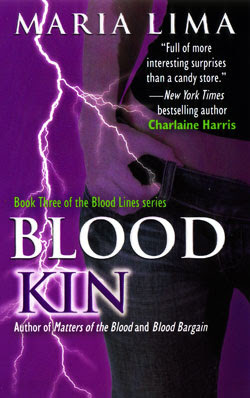 The Juno Books website has just unveiled the cover for Blood Kin by Maria Lima. This is the third book in the Blood Lines urban fantasy series following Matters of the Blood and Blood Bargain. The book is set for release October 27, 2009. You can visit Maria Lima's website here, her blog here and you can read an excerpt here. 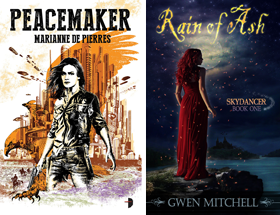 I've not read any of this series, but I'm going to have to keep an eye out for them now. Thanks for pointing them out to me (you are one of the worst things around for my ever growing to read list, for which I thank you). Great cover art, interesting blurb. I haven't read this series, so thanks for the recommendation. I have had this series on my wish list for a while now. I keep forgetting about it. :) Thanks for the reminder. You won the Paige Tyler book Animal Attraction.